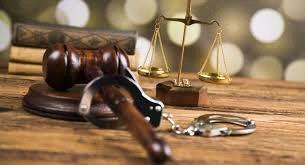 AMMONNEWS - The Court of Cassation upheld an April Criminal Court ruling sentencing a man to 10 years in prison after convicting him of murdering his-in-law over a financial debt in February 2016. The court declared the defendant guilty of shooting and killing his in-law on February 15 and handed him a 20-year prison term. However, the court decided to reduce the sentence by half because the victim’s family dropped charges against the defendant. Court papers said the victim’s wife took out a JD700 loan under the name of the defendant and was supposed to pay it back in JD50 monthly installments. However, the woman “stopped paying the installments which angered the defendant”, court papers said. On the day of the murder, court transcripts said, the defendant went to the victim’s house and argued with him about the matter. “The defendant urged the victim, a plumber, to pay back the money but he refused so he drew a gun and shot him to death,” the court documents said. The Court of Cassation judges were Mohammad Ibrahim, Naji Zubi, Yassin Abdullat, Saeed Mugheid and Majid Azab.